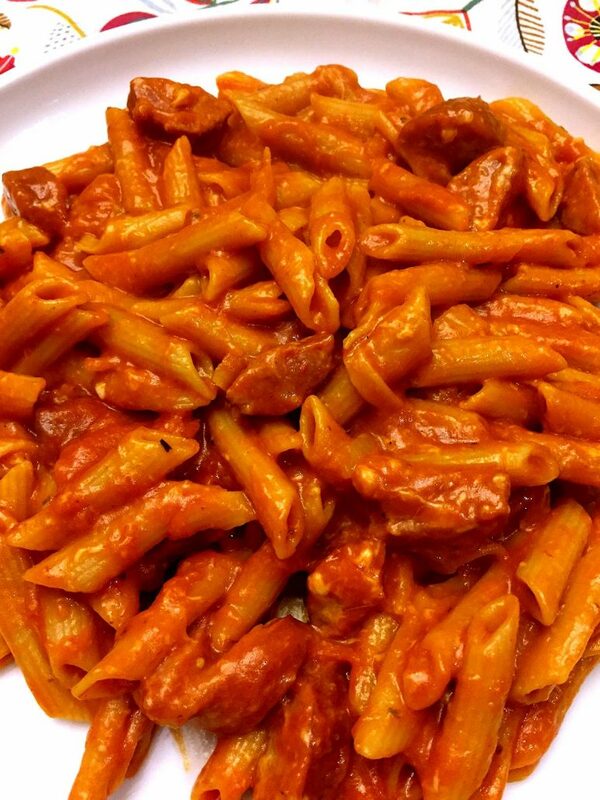 This delicious oven baked Italian sausage is the easiest dinner ever! You’ll always want to have some Italian sausages in the freezer for a busy weeknight! 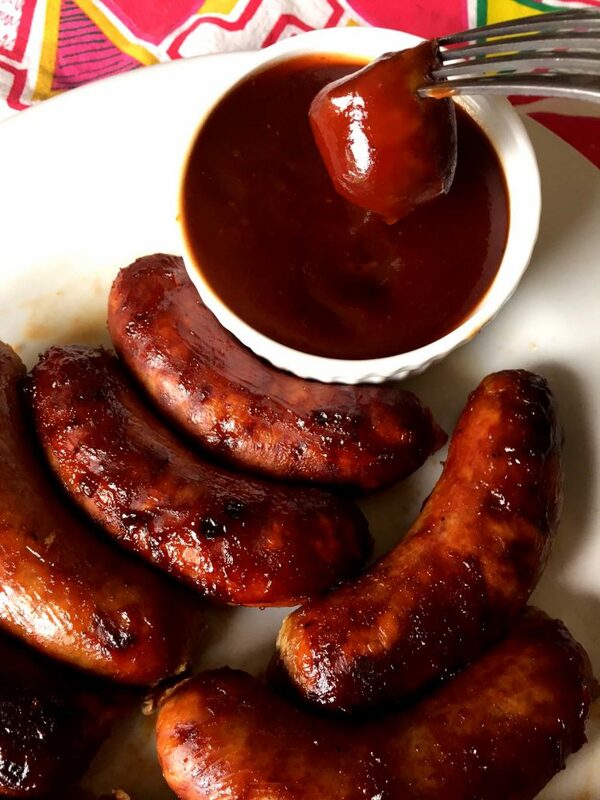 This oven baked Italian sausage recipe is so simple and straight-forward, you might wonder how it made its way on a food blog 😉 After all, aren’t the food bloggers supposed to showcase their fancy creations with a long list of ingredients and many confusing steps? LOL if you are looking for fancy, this ain’t so 🙂 Only easy recipes make their way into my kitchen because simple is how I like it! 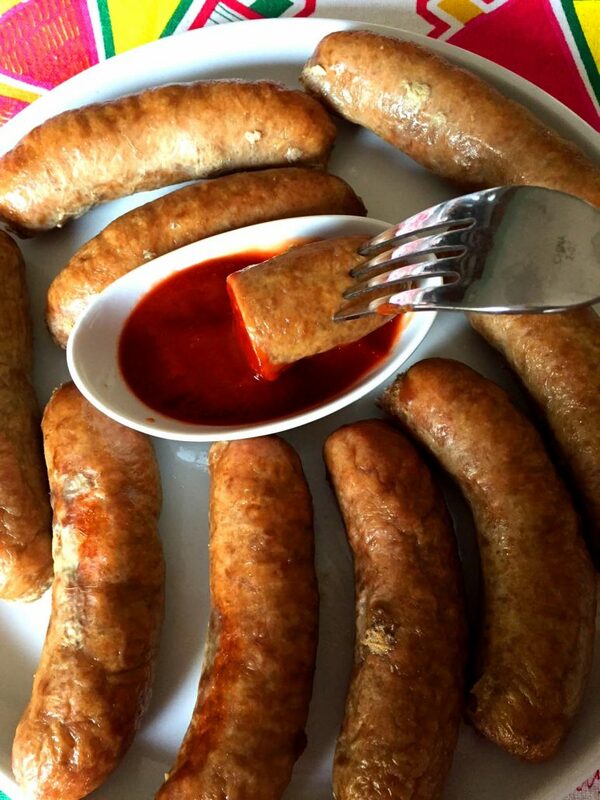 To make these baked Italian sausage links, all you need is… Italian sausage! Yep, just 1 ingredient – it’s a *GASP* one-ingredient recipe! Prep? 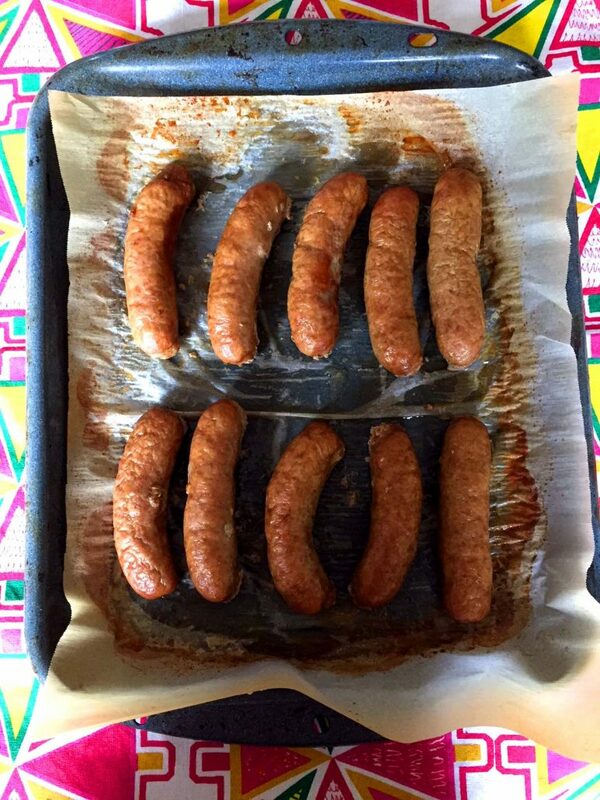 All the prep you need is to turn on the oven and open the package of Italian sausages 🙂 Wash dishes? Hmm… I line the baking sheet with foil or parchment paper, so there is nothing to wash. Yes! 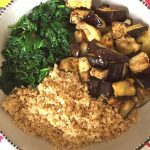 1 ingredient, nothing to prep and nothing to wash – that’s my kind of a recipe! 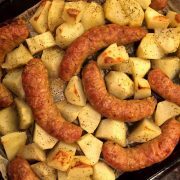 You can use any type of uncooked sausages for this recipe – sweet Italian, spicy Italian, beef and pork sausage or turkey sausage. 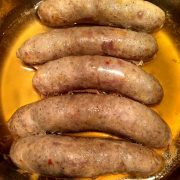 On these pictures, I used sweet Italian turkey sausages and they were delicious! 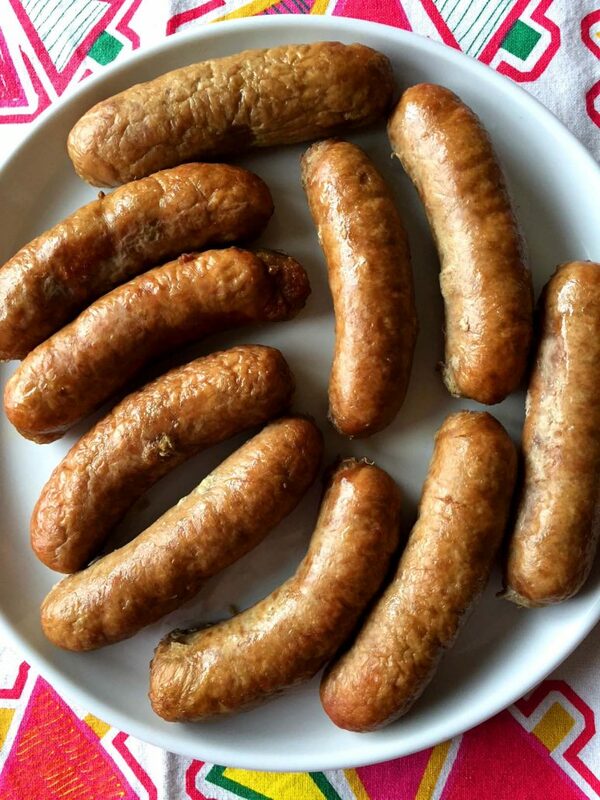 Making baked Italian sausages is super easy – just preheat the oven to 400F and bake the sausage for 25 minutes. That’s all there is to it! 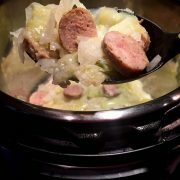 For an easy side dish, you can put in some veggies alongside the sausage so they bake at the same time. 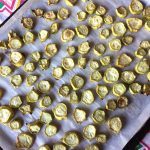 You can also put in another baking sheet with potatoes to make best ever roasted potatoes (the recipe for those roasted potatoes states 425F, but they will bake at 400F just fine too) or hasselback sweet potatoes – yum! 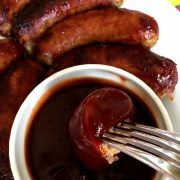 BBQ baked sausage recipe – easy variation of this basic baked Italian sausage recipe 🙂 It uses 2 ingredients – Italian sausages and BBQ sauce! 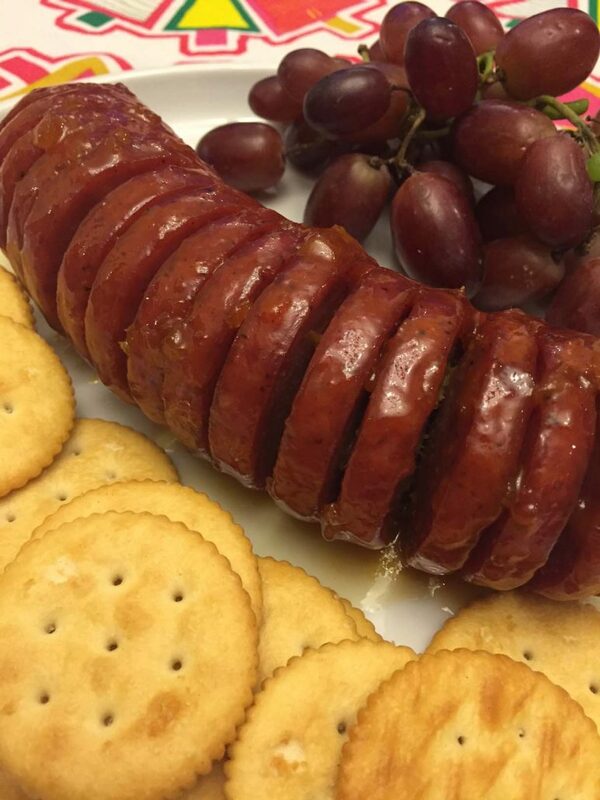 Baked Glazed Summer Sausage – you can also use salami for this, it makes an awesome easy appetizer! Cheesy One Pot Sausage Pasta – chop up your baked Italian sausages and use them in this easy 20-minute one-pot pasta dish! This delicious oven baked Italian sausage is my go-to weeknight dinner! 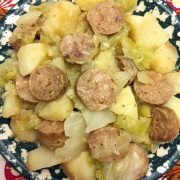 I always keep a package of Italian sausages in the freezer so I can stick it in the oven and make this yummy baked sausage! Easiest dinner ever! 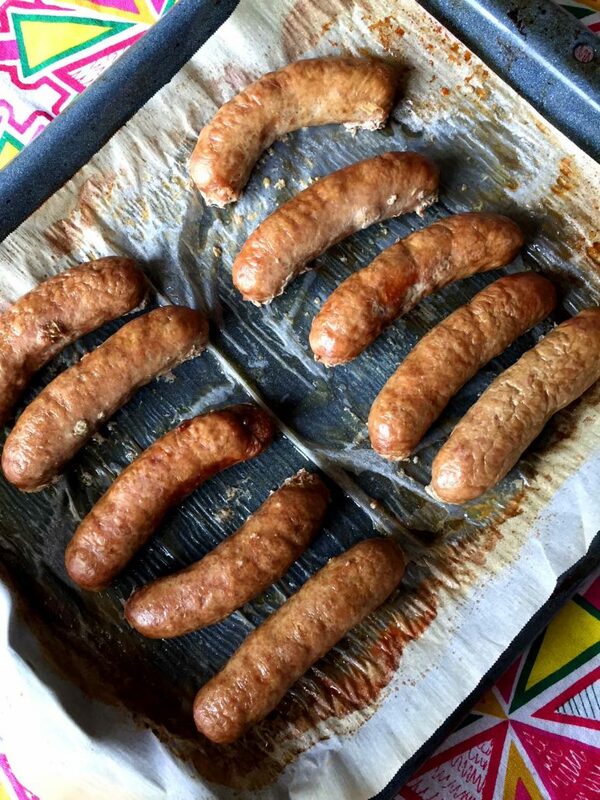 Put the sausages on a baking sheet in a single layer, so they are not touching. Put Italian sausage in the oven and bake for 25 minutes. 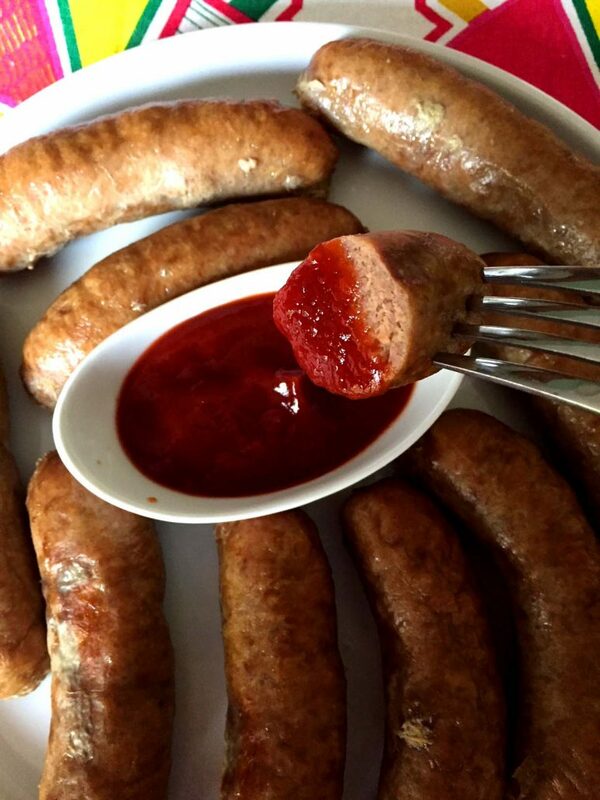 If baking the Italian sausage straight from frozen (without defrosting), add an extra 15 minutes to the baking time. Well I have 2 toddlers,so that’s NEVER an option!